Whether working in the rugged oil and gas industry or spending your day working near electrical hazards, stay safe and comfortable in MCR Safety's FR Gear made with Max Comfort™ fabrics. The PK3 parka features a comfortable 88% cotton 12% Nylon twill material with a modacrylic quilted lining for warmth and protection. Max Comfort™ material meets the NFPA 2112-2012 Standard for Flame Resistant Garments and NFPA 70E Standard for Electrical Safety in the Workplace. 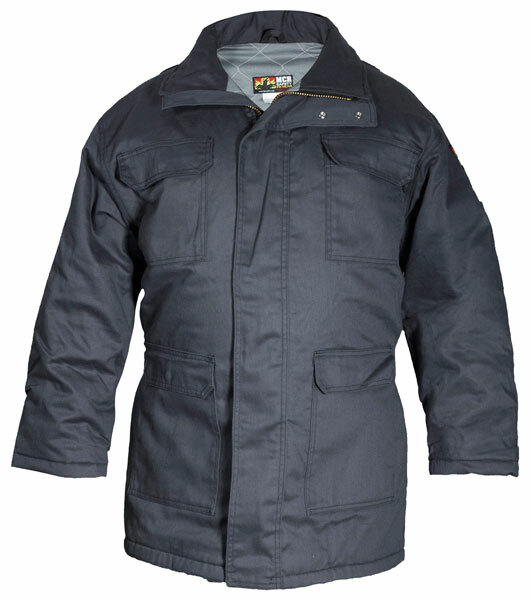 All MCR Safety's FR Garments are UL Certified and have a lifetime FR guarantee. Available in Regular or Tall Sizes, Gray and Navy.